Ever seen a state park that was a hundred miles long and a hundred yards (or less) wide? (Now, there’s a length to width ratio you don’t see in many parks.) That’s Pine Mountain Trail State Park, also known as Pine Mountain State Scenic Trail. Pine Mountain itself is not only the second-highest mountain in Kentucky, but it also stretches for roughly a hundred miles. It parallels the Virginia border and its dominant ridge runs from just short of the West Virginia line all the way down the eastern edge of Kentucky to Tennessee, including the whole length of Letcher County. And the Pine Mountain Trail runs right along that ridge the whole distance. Talk about vistas. It’s a work in progress still, but the next step, making it an off-and-back fork of the Appalachian Trail, is already being looked at. For more information and photos, click here. It’s not a big waterfall all the time, but it is a beautiful one all the time. It grows large after rains and during hard winter cold spells, when the flow freezes and builds up. For more information, click here. The Route 23 Cut, AKA the Jenkins Cut or the Pine Mountain Cut. Road builders gave us this one when they cut through Pine Mountain to build US Highway 23, the Country Music Highway, from Kentucky into Virginia. The road-building exposed not only rock layers older than we can count, but it exposed fault layers as well. Geologists come from all over to study the exposed rock strata. This one-lane but paved road runs along the top of Pine Mountain (sharing the Pine Mountain State Nature Trail) for about twelve miles from the point where US Route 119 cuts across the top of Pine Mountain south to Kingdom Come State Park over in Harlan County. It has drop-offs that are 1200 feet in places and views of ridge after misty ridge fading off toward the bluegrass. Not to mention great fall color and maybe bears, which roam Pine Mountain and sometimes obligingly show themselves to people along the trail. Click here for more information. This one parallels the Little Shepherd Trail, and is designed for people who want to experience what the pioneers did – horse and wagon travel in these mountains – or perhaps just a quiet ride in the woods. Their good fortune is that, unlike our pioneers, visitors don’t have to chop the trail themselves. Click here and here for more information. Yep, we have vineyards. And they’re not new. They are an old Kentucky tradition. The winery at Seco is in an old company story from mining days. The owner’s daughter is an oenologist who established the vineyards and the winery. He and she tell us it’s not the sweetest grapes that make the best wine, and they don’t have to grow in France or California. For more information, click here and here. This craft distillery, located in downtown Whitesburg, makes traditional moonshine for sale. Unlike the traditional product, though, it also comes in a variety of tastes, including many fruit-infused flavors. The distillery also carries a selection of local crafts, along with some unique products. The latter includes chocolate-covered cherries made from the cherries that were used to infuse the cherry moonshine - a sophisticated version of rum balls. For more information on Kentucky Mist Moonshine, click here. 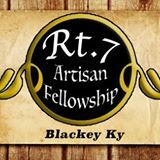 A group of businesses along one of the state routes in Letcher County, Hwy 7, have banded together to promote their businesses under the name Antique Alley. They are drawing customers from as far as other states. So if you like old things, whether you classify them as antiques or junk, you might want to follow the signs and take the tour. For Antique Alley's Facebook page, click here. For a news article and photos, click here. As with antique alley, a group of craftspeople have banded together to promote the arts, crafts, and music of Letcher County. Located in downtown Whitesburg, along the North Fork of the Kentucky River, the museum chronicles veteran of Letcher County. Click here or here for more information. Letcher County is fortunate to have an art collector here whose collection includes Picasso and other very well-known artists. His collection is displayed in the Old Post Office building in Whitesburg, and is a treat for anyone who loves art. Lilley is a traditional male name here in Letcher County. This particular Lilley Cornett was described by one person who knew him as a “real rounder," but he also preserved about 250 acres of old-growth, Mixed Mesophytic (to use the technical term) forest from cutting. In 1971 the state acquired it. The total reserve is now over 500 acres, and the old-growth half of it is one of the most closely studied forests in the US. Visit in April for the lady slippers, and anytime to see what an old-growth forest looks like when it’s at home. For more information on this old-growth jewel, click here. Located on a hillside in Jenkins, KY, the Little Shepherd Amphitheater hosts summer performances of The Little Shepherd of Kingdom Come. The script is taken from the book by John Fox, Jr also titled The Little Shepherd of Kingdom Come, which created such a sensation its publication in 1903 that it stayed on the bestseller list on into 1904. It was made into a movie in 1920 and 1928, and again in 1961. You‘ll note the recurrence of the name. That’s because there’s a place in Letcher County called Kingdom Come Creek, and John Fox, Jr. spent time there in the early 1900s absorbing local atmosphere and culture and used it as the book’s setting. If you want to absorb local history yourself, folks over on Kingdom Come Creek will be glad to point out the location of the wooden cabin he stayed in. About five years after the success of The Little Shepherd of Kingdom Come, Fox published The Trail of the Lonesome Pine, which followed tradition by also staying on the New York Times best-seller list for two years, and being memorialized in four movies. The Virginia town of Big Stone Gap, not far across the border between Kentucky and Virginia, stages summer performances of that book. It's a big deal, and is labeled The Trail of the Lonesome Pine State Drama, so declared by the state of Virginia in 1994. To get the full experience, take in both while you’re in the area. For more information about the Little Shepherd Amphitheater, click here. Raven Rock looms over Jenkins, Kentucky and Pound Gap through the Cumberlands between Kentucky and Virginia. It was such a good vantage point that it was manned as a lookout post during the Civil War, and then was called Pickett Rock. For a brief symopsis of the history of Raven's Rock, click here. ​Plans are underway to install a zip line from this pinnacle down the mountain which will offer amazing views during the descent. Raven Rock Golf Course, outside Jenkins, Kentucky, sits at a an elevation and in a setting most courses cannot come close to matching. For more information about the course, including tee times, location, and photos, click here. We’re kind of cheating by mentioning this one, because it’s not actually in Letcher County. But it’s not far outside either. 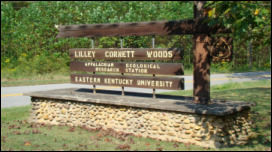 The Kentucky section lies just north in Pike County, and marks the end of Pine Mountain. It’s called the Breaks because it's the deepest canyon east of the Mississippi. In the fall, when the waters are loosed in the river, it has some of the best white-water rafting and kayaking around. A lot of us think it should be a national park instead of a Kentucky/Virginia Interstate Park and should stretch down to encompass Letcher County. For more information about the Breaks, click here and here (Kentucky) and here (Virginia). We only have a piece of the Jefferson National Forest (the rest lies in Virginia and West Virginia), but we’re thankful for that. Not every county is so lucky as to have national forest open to all its citizens and visitors for recreation. Search the forest for those early spring blooms called by some shy maidens. Or photograph its glorious color in the fall. For more information about the Jefferson National Forest, click here and here. No elaboration needed. Coal and the people who mined it powered the twentieth-century industrial revolution that built this country into the powerhouse it became. Whether people are pro-coal or anti-coal for the future, they all understand and appreciate how coal and the men who mined it built this country, and understand that it’s a crucial part of our history. That’s especially true here in Letcher County, which is laced with coal mines large and small. Towns in the upper part of the county like Jenkins, Haymond, McRoberts, Seco, and Burdine all started as coal camps with company stores and identical houses cheek by jowl along the roads, and, while people have altered their houses to their taste since the coal companies sold out, their origins as identical houses running along river banks and bottoms can still be picked out. In the Lower end of the county, while there were fewer company-built coal camps, towns like Blackey were once surrounded by half a dozen coal mines, now all worked out. But their history lives today in names like Carbon Glow. For anyone looking for the history of coal in the Appalachians, Jenkins is particularly worth a visit. When Beth-Elkhorn built Jenkins as a company-owned town in 1912, it build what was then a model town. It included churches, a hospital, a school, stores, clubhouses, even a lake. Most of the major buildings were made of brick, and the many thousand bricks needed for those buildings were made in Jenkins, on Brickyard Hill. The main street of Jenkins still boasts many of these hundred-plus-year-old buildings, often repurposed for modern uses. If you look closely, you can still see, in what were originally company-built houses, the evidence of the once-identical structures they began as. Or you can walk Bosses' Row or Bosses' Hill, where the bosses enjoyed larger houses. Jenkins, in celebrating its centennial in 2012, placed centennial markers by all the historic buildings giving their original use and their establishment year, making a walk down Jenkins' main street an immersion in history. For more information about Jenkins, click here.